The Pro 960420174 is yet another high quality lawn tractor from Poulan, and it is a much improved version of its predecessor. It utilizes premium features such as a hydrostatic transmission and a heavy steel reinforced deck. Everything from the electrically engaged mowing deck to the continuously variable speed makes doing garden work a pleasure. Its 24 Horsepower Kohler V-twin engine is a powerhouse and starts automatically without any manual choking needed. Thanks to its large 54” cutting deck housing 3 individual blades grass is cut evenly every time at the height that you desire. 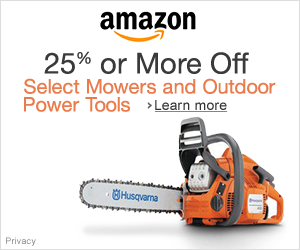 This model is fantastic in nearly all aspects, and because Poulan is owned by Husqvarna, you can trust that any issues will be dealt with swiftly. We have found that the quality control for their mowers is on point and problems rarely arise with proper care and regular maintenance. Our tests revealed no major flaws with the 960420174. This makes sense considering the fact that these mowers are built on the same manufacturing line as Craftsmen. In fact, we believe that the Pro series utilizes many identical parts as made evident by the solid frame and iron axles. Mowing is just one of the many functions that this tractor can perform, and it does the job well with even cuts and efficient mowing times. Everything was designed to be convenient and easy to use; we believe that even the newest users will have zero difficulties learning how to operate the machine properly. Most necessary functions are automatic such as the blade engagement, engine startup, and transmission. With a very heavy steel frame and powerful engine, this mower can pull heavy loads such as rocks, tillers, or whatever else you need. The only potential issue is with the inherently large size that comes with a large engine and wide cutting deck. 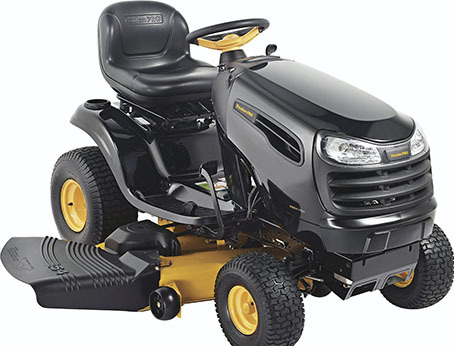 Due to its size, the mower cannot turn very tightly – although, a 16” turning radius is pretty good considering its massiveness. Make sure you have enough storage space before purchasing this mower as it is in fact pretty big. The Poulan Pro 960420174 is a multi-faceted tractor that has much more utility than being just a mower. It performs its primary function of cutting grass extremely well and exactly as described by Poulan’s marketing buzzwords. Outside of simply mowing, the tractor is built to perform heavy tasks such as tilling. 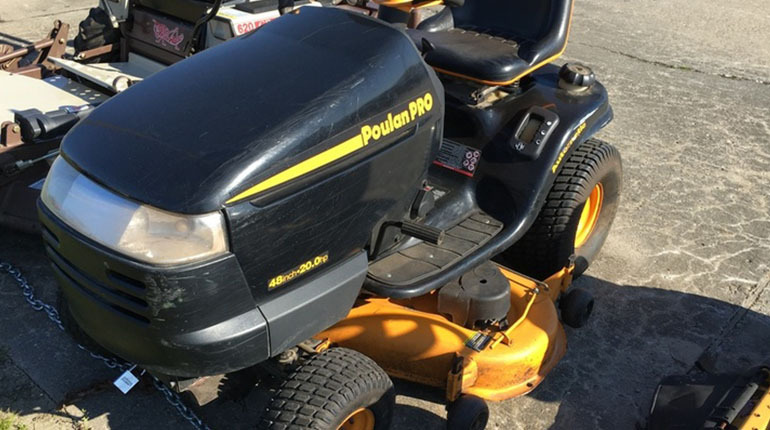 From our observations, we believe that this mower will last an extremely long time, and any failures will be addressed promptly by Poulan’s warranty services. For these reasons, we highly recommend this mower to all individuals looking for a heavy duty tractor to perform various tasks. If you would rather learn about ztr mowers, click here.